Tokyo, November 11, 2013 – Fuji Heavy Industries Ltd. (FHI), the maker of Subaru automobiles, today announced that it will exhibit the all-new Subaru "WRX" (US specifications model) as a world premiere at the 2013 Los Angeles Auto Show (Press day: November 20 and 21; Open to the public from November 22 through December 1, 2013). The iconic Subaru's AWD performance model will be unveiled at the press briefing scheduled for 10:30 AM PST on November 20 at Subaru booth. 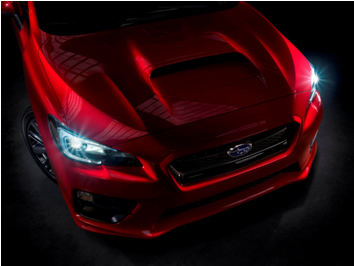 In addition to the all-new WRX, a design concept model will also make the world premiere. The special site opens today at 23:00 (Japan time) on the Subaru Global Site. The site will feature information updates relating to the Los Angeles Auto Show including Subaru's press conference. As committed in the company's "Confidence in Motion" brand statement, FHI will continue to pursue further growth by offering its customers Subaru's future vision of "driving enjoyment and peace of mind" that the brand is committed to offering its customers. copyright (c) FUJI HEAVY INDUSTRIES Ltd. 2013 All Rights Reserved.